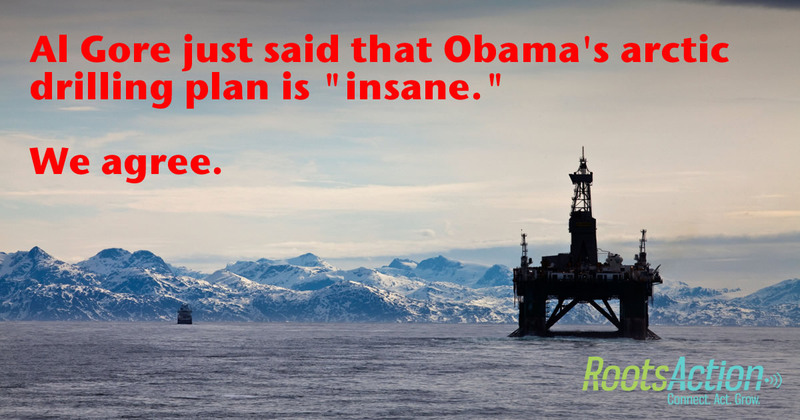 Al Gore just said that President Obama's arctic drilling plan is "insane." "I think the Deepwater Horizon spill was warning enough. The conditions are so hostile to human activity there. I think it’s a mistake to drill for oil in the Arctic. I think that ought to be banned." Arctic drilling is a terrible idea. Don't do it. Negotiate a global ban on drilling in the Arctic instead. Please add a comment if you are so inclined. 11332 3.6 years ago Joseph Medeiros Maynard , MA , US Do what is wise and compassionate.